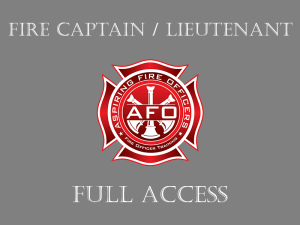 Members receive unlimited access for 4-months to all content within the fire department Employee Counseling section. This includes our custom instructional videos titled: “Employee Counseling” & “The 8-Step Process” and “Understanding Raters”. These videos clearly explain what to expected from the raters in the fire department assessment center process as well as teach you how to conduct a counseling session using the 8-Step Process. Members will use the techniques learned in the employee counseling section to be successful in their fire department assessment center exam as well as after they win their promotion. In addition to our custom videos, our members will have unlimited access to 9 video based scenarios. 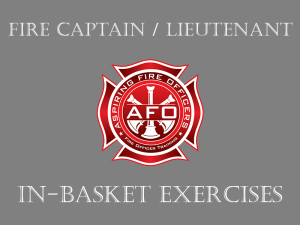 These scenarios are typical of those that you are likely to encounter during your fire department assessment center exam. Each video begins with a written explanation of the scenario that plays across the screen. Next, a veteran fire officer conducts the counseling session using the 8-Step Process. To enhance the learning experience, each step of the 8-Step Process is shown on the screen. This allows the student to see the 8-Step Process in action and reinforces the learning experience. The employee counseling portions of the fire department assessment center exams are challenging and often have a difficult or contentious role player. Because of this we have scenarios where the firefighter is difficult to manage and does not initially go along with or comply with the officer’s plan. 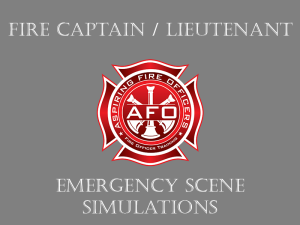 Lastly, when you get promoted it is likely you will encounter a firefighter similar to what you have seen in our video based firefighter employee counseling scenarios. This ensures that you are not only prepared for the exam but, more importantly, when you get promoted. Following each scenario is the written transcript of the employee-counseling scenario. 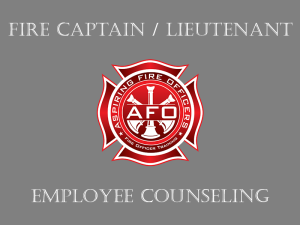 Members can follow along with the video and highlight key words that they are then able to use when conducting their own fire department employee counseling session. An added bonus for our members is the documentation that accompanies each scenario. Members can access and review the documentation that the officer would be expected to complete at the end of the employee-counseling exercise. 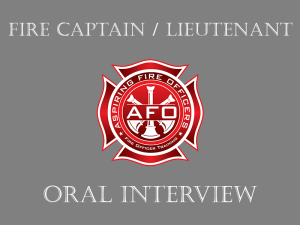 We include the documentation because it is very common that, following the fire department employee-counseling scenario is a writing exercise where the officer is expected to document the session using the proper format and documentation process.